This is an entertainment that involves its young audience, not just in the music but as partners in everything that’s going on. Communication with the audience takes precedence over the educational role, which is shifted somewhere into the subconscious. It promises to be an easy-going experience, exciting for children and also enjoyable for the adults they bring along to the show. 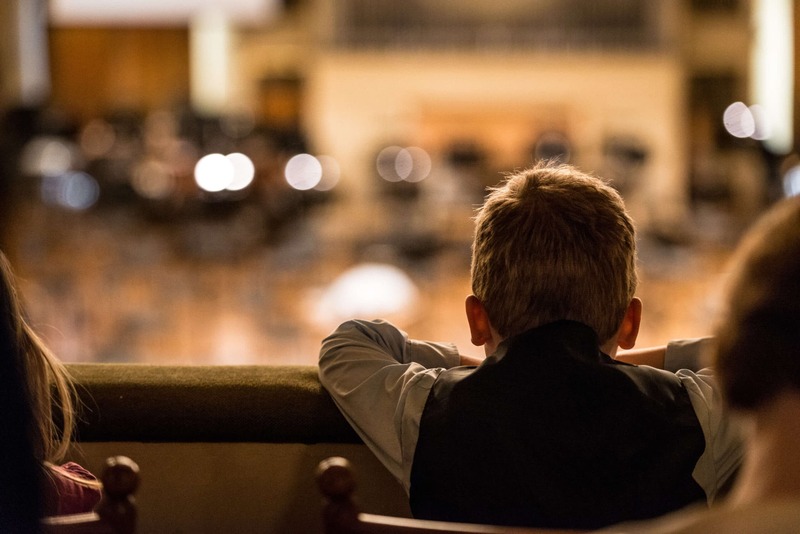 With these ideas, the director Rudolf Chudoba has in past seasons enchanted the little listeners at the Saturday morning concerts as well as their larger parents and carers. He will take this further in this series, for which he has prepared three new programmes, again presented by the quick-witted improviser and astonishing beatboxer who goes by the name of En.dru. There will be two further concerts by the presenter Petr Kadlec and the conductor Marko Ivanović, a well-matched duo that offers, with wit and erudition, works by the titans of music popular with children’s audiences at the Czech Philharmonic and elsewhere. following their successful “stand-in” at our Family series last season, when they thrilled the audience with works by Leoš Janáček, this time they will focus on two more master composers, Igor Stravinsky and Leonard Bernstein. When we visit Lenny, it’s quite likely that we’ll come across other American composers at his place. George, at least, will probably be there to meet us… But the main thing will be a story of gangs at war in the streets of New York, as set to music by Leonard Bernstein in the musical West Side Story.